Performing Arts Workshop’s programs work with school and community partners to provide effective and tested arts programming to San Francisco Bay Area youth. Workshop teaching artists are professional artists, trained to teach performing arts to youth, particularly those often referred to as “at risk.” Students in Workshop classrooms build their critical thinking, creative expression and basic learning skills through the arts. We offer performing arts programming in the following art forms: World Dance, Creative Movement, World Music, Theatre and Creative Writing. 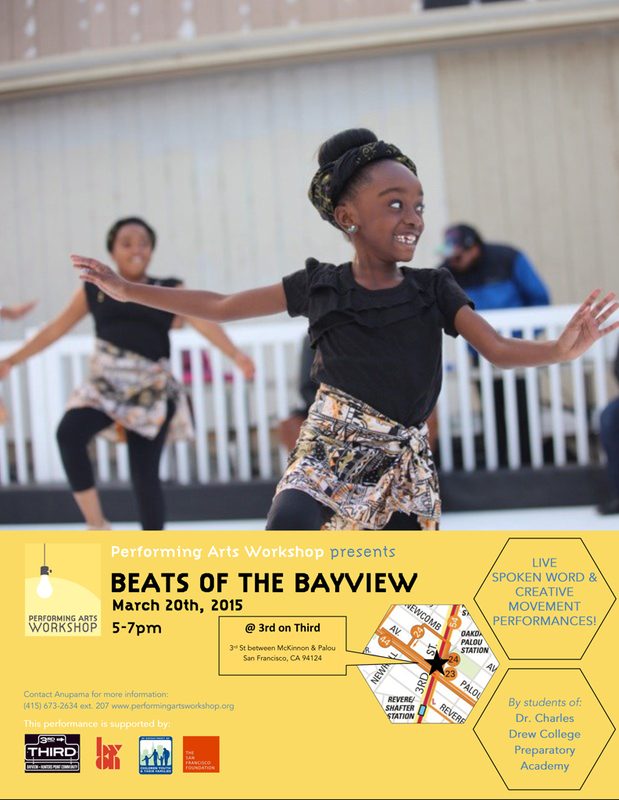 This Friday, March 20, 5-7 p.m., our students will grace the main stage at 3rd on Third – the Bayview’s free arts and culture celebration at Mendell Plaza, Third and Palou. For our students, it’s an honor – and a very big deal – to perform in front of their families, friends and neighbors. Will you join the cheer squad? Elaine Lee can be reached at elaine@performingartsworkshop.org. I have the experience to learn through this really nice place.When i am new with my windows 10 Operating system Desktop then only this file explorer windows 10 online tutorial helps me a lot to know about file explorer.